A single square princess cut lab created blue sapphire gemstone 2.75 carat (ctw) sits in the warm embrace of sleek sterling silver. It comes with an 18 inch sterling silver chain. 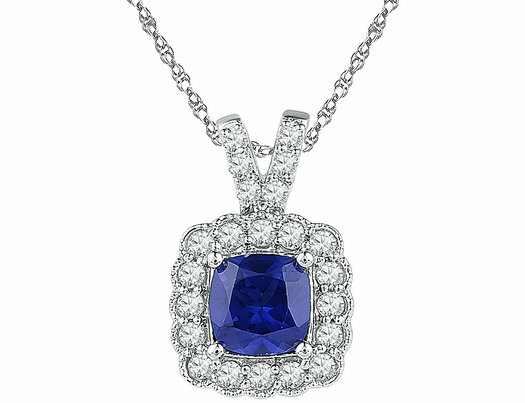 Blue sapphire is the featured birthstone for September. A halo of sparkling accent diamonds 3/4 Carats (ctw I2-i3, I-J) complete the look.